We have always believed that good ideas, what works, you have to optimize and keep them. It is what makes the nature and is what we have been looking for, since the beginning of our long journey as a Company, with gummed paper tapes. Our product moves us. We learn every day from our customers and suppliers; every day we do our best to meet their demands and we continue growing with them and their confidence. We were born like an individual company named Engomadora La madrileña in the late 50´s. During the first twenty years, we were dedicated to produce and sell paper tapes for closing carton boxes attending exclusively our spanish market. 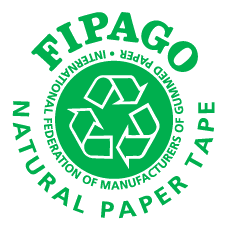 During the 70´s and after became one of the main spanish producers, we changed into a joint-stock company named Ibergum, S.A. At that time we , joined FIPAGO (International association of gummed paper producers) and we began exporting to our neighbour countries. In these days we initiate importing, converting and selling self adhesive tapes, and afterwards , stretch film. Because of the exporting challenge, we forced to a constant policy of improvement our working methodology through a continous innovation in machinery, production system and control equipments, due to guarantee our image of quality, seriousness and efficiency. This constant investment, specially in the printing area, allowed us to add in the middle 80´s two new diferent products, kraft printed paper for wrapping coins and kraft printed paper for general packaging purposes. During the 90´s decade, we consolidate our external market, being nowadays our exportation volume the 75% of our total turnover in gummed tapes. Actually we have commercial presence in the five continents, mainly in the European Union countries. In January 2001 we inaugurated our new production plant in Marchamalo (Guadalajara), 55 kms. far away from our previous one in Madrid, with a built surface of 3200m2. This new plant allow us to continue with the same company policy of producing quality through constant investements and deep and narrow collaboration with customers and suppliers. Our certifications endorsed us. 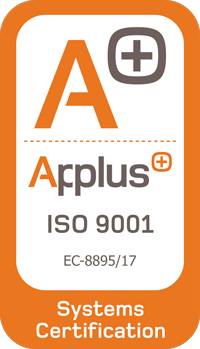 On March 2004, we obtained the certification of the management system of Ibergum, S.A., on the basis of the quality standard ISO 9001:2008 in processes, and with main points based in responsibility, resources management, measurement, analysis and continuous improvement. 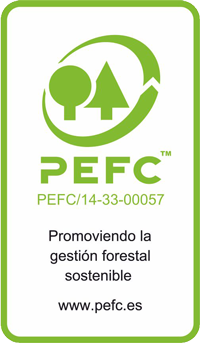 It allow us to active a daily commitment with our customers satisfaction and the environment. 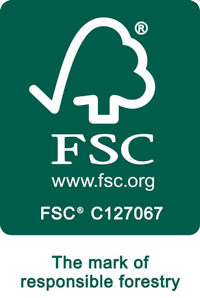 Concerning this last point is important to notice our ISO 14001:2004 environmental certification as well as the FSC and PEFC certifications which guarantee that all of our raw materials are obtained from controlled forestry. Very aware of our social responsibility, we have always tried to help as a company, sponsoring the sport activity in childhood or in foundations of rare diseases research. Currently collaborating with CPEE LA QUINTA on its project of equinetherapy, whose main objective is to apply the riding as complementary therapeutic treatment that, among others, children with the syndrome of Sanfilippo can curb the deterioration of their cognitive, physical and social development, improving their quality of life.